Throughout history, the cargo ship has been an essential part of the United States Navy military operations. During World War II, these cargo ships were the homes to thousands of Navy personnel. Along with personnel, each cargo ship contained thousands of pounds of deadly asbestos. This asbestos was supplied by companies that knew the asbestos was dangerous and knew that, eventually, thousands of servicemen would contract terrible diseases from exposure to this mineral. But the companies chose profit over safety and hid those dangers from the navy and the servicemen. Asbestos was used frequently for the insulation of pipes, boilers, electrical fixtures and hull construction. It was also used as a fire retardant material in many areas aboard ship, including non-skid flooring on decks and on bulk head walls. The worst areas on cargo ships were in the fire, pump, and engine rooms where insulation covered the pipes and wiring. Some of the personnel most at risk include boiler tenders, electrician's mates, enginemen, machinist mates, pipefitters, and shipfitters. Many of the companies that supplied asbestos products to the navy have admitted fault and set up trust funds to compensate navy veterans. 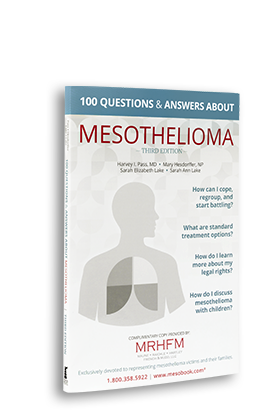 If you know someone who has mesothelioma, contact us to learn more about your rights. Below offers a list of some cargo ships that were commissioned between 1940 and 1990 and contained risks of asbestos exposure. Personnel aboard any of these ships or civilians that provided shipyard maintenance, repair or deconstruction may have been at risk of asbestos exposure.